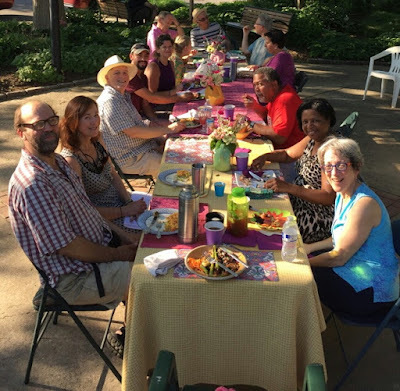 It took far too long for the Friends of Ned Wolf Park to host its first potluck dinner party in the park. Initially hatched in the aftermath of our May 6th Plant Sale, we wanted to take time to celebrate our successes in the handsome space we have been nuturing for ten years. Sedgwick neighbor Marcia lent us a canopy, Weavers Way provided folding tables, park neighbors offered us electricity and water access. 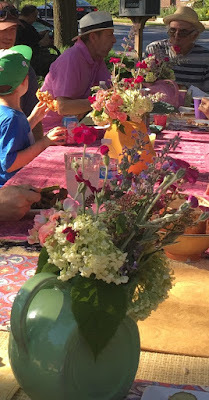 The park gave us flowers!